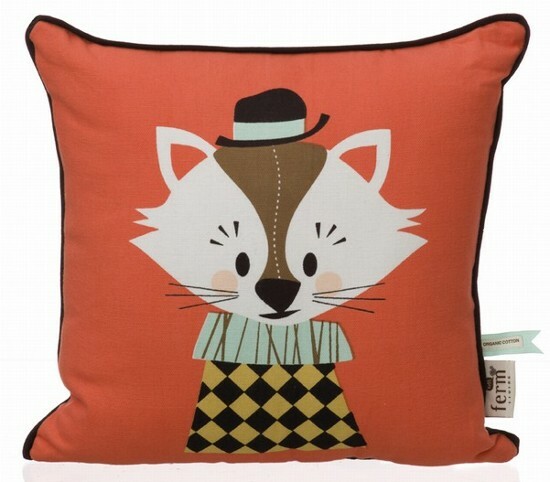 Ferm Living Marionette cushions coming our way! 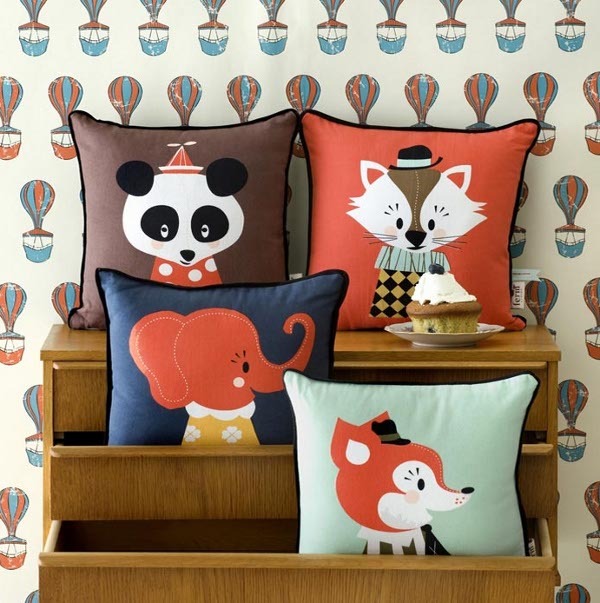 Their names are Mr Frank Fox, Elle Elephant, Aristo Katt and Posey Panda and they’re coming soon to brighten up the bedrooms and playrooms of Australian children. Danish interior design powerhouse Ferm Living and Norwegian design duo Darling Clementine have joined forces to create these one-of-a-kind and, dare I say, sensational cushions. I’ve had my eye on these pillowy wonders for a few months now and I’m ecstatic that they’re finally headed to our lovely shores (see our recent Kids Instyle trade show coverage). The characters are part of Darling Clementine’s ‘Marionette Collection‘ of cards and have been brought to life by Ferm Living as 100 per cent organic cotton, down-filled cushions. The colours are simply glorious while and the clean and succinct lines, combined with little details and a splash of humour, make the whimsical cushions a must-have for any home. They’re available to purchase soon from Ferm Living Australia for $55 each plus postage. My daughter and I have chosen our two favourites for our place. Which ones tickle your fancy?